Current estimates of pollutants residing in the atmosphere are inaccurate, as a new study estimates there are double the recommended limits set by the World Health Organization. 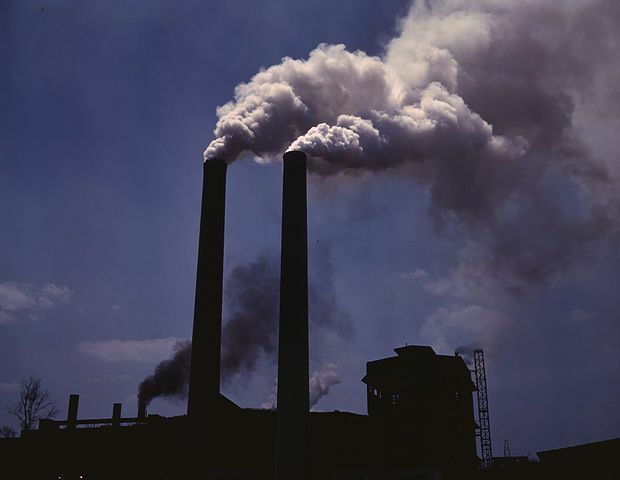 Pollution is a major concern, and has been for many decades. We continue our ignorance in believing that we don’t have to do anything about it. The media projects a myopic focus on CO2 and climate change while the pollution, toxins, waste and bad chemicals that we output into our environment takes a backseat. I have done some posts before to emphasize the need for us to look at all of human behavior and what that is doing to our environment and ourselves (like making us unhealthy). The pollution we create is a serious issue. We have been poisoning ourselves for long enough I think. It’s time to change, and we need knowledge to realize our errors and foolishness. A study, conducted by scientists from the USA and China, was published in the journal Proceedings of the National Academy of Sciences a few weeks ago, and shows that pollutants can last longer and travel further than previous global climate models predicted. The estimates match actual measurements from more than 300 urban and rural locations. Polycyclic aromatic hydrocarbons (PAHs) are air polluting chemicals that are part of the pollutants from fossil fuel burning, forest fires and biofuel consumption. Several PAHs have been identified as cancer-causing agents. Previous simulations failed to accurately match the actual PAH that is measured in our environment. PAHs can travel through the air by riding on shielded viscous aerosol. Aerosols are tiny airborne particles that form clouds, cause precipitation and reduce air quality. At the core there is a small amount of soot surrounded by gases, pollutants and other molecules to coalesce to form tiny balls. Some of the molecules that coat the core are called “organics” because they come from living matter such as leaves and branches, or even from the smell of pine needles. PAHs are some of the pollutants that also stick. Prior researchers thought PAHs could move within the organic coating of an aerosol which would allow them to reach the surface where ozone within the atmosphere could break it down. This has changed in the last five years with better research and data improving the understanding scientists had. This recent study shows that the aerosol coating can become viscous like tar, trapping PAHs and other chemicals which shields them and prevents them from degrading. The new shielded PAH model developed by the researchers simulated PAH concentrations from 2008 to 2010 and looked at one PAH in particular, the carcinogen BaP. Extrapolating from the 69 rural sites and 294 urban sites that matched the new model better than the old unshielded model, they want to look at impact that these traveling PAHs have on human health. A global climate model was developed using both the shielded and unshielded PAH to see what the lifetime cancer risk assessment would be. The old model predicted one cancer death out of every 50,000 people, but the new model with shielded PAHs traveling greater distances increased the global risk by four times with two cancer deaths per 100,000 people. The World Health Organization standards are currently set at one cancer deaths per 100,000 people, but this was not exceeded everywhere. Higher levels were in China and India compared to lower levels in the United States and Western Europe. The shielding of PAHs was also lower over the tropics compared to mid and high latitudes. The warm and humid tropics allowed goes on to oxidize the PAHs. I was already concerned about the level of pollution and its severe impact on our health, and now it looks like it’s worse! We need to stop the myopic short-sighted focus on short-term gains from the “benefits” of whatever we can create or invent. We just go ahead with things, not understand their consequences, and then oops… time to correct our mistakes… except we aren’t, are we? We have wanted to go fast and big in our history. Are we slowing down yet to think about what we are doing or have been doing — or are we still marching on a blind path to self-destruction?